Dr. Michael Fullilove, Executive Director of the Lowy Institute, gave opening remarks ahead of the Prime Minister's address to launch the 'Australia in the Asian Century' White Paper. The challenge this White Paper poses to all of us – government, business, universities, think tanks, schools and individuals – is to thicken our connections to Asia. To engage the region wholeheartedly. There is a big opportunity here. To seize it, we’ll need energy and focus and imagination. But Australia didn’t need to pivot to Asia. We were already facing it head-on. All you recent predecessors have understood Asia’s importance. We are delighted to welcome you all here for the launch of the Australian Government’s White Paper on Australia in the Asian Century. Thank you, Prime Minister, for accepting our invitation to launch this important document here at the Lowy Institute. Everyone is excited. When the taxi pulled up outside my house this morning my four-year-old rushed in and told me that Julia Gillard was here to give me a lift. 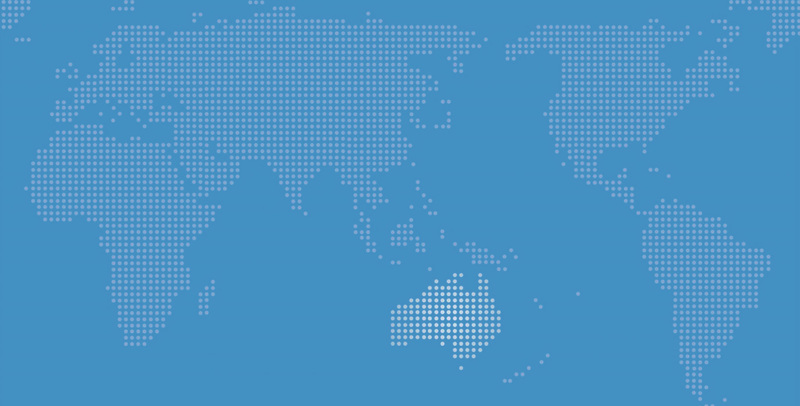 In September last year, Prime Minister Gillard commissioned this White Paper in order to consider the economic and strategic changes in the region and position Australia to capture the benefits generated by the Asian Century. As Australia’s leading think tank, we at the Lowy Institute certainly feel the ripples of the Asian Century. We know that it’s upon us. Every report we issue, every event we host, is touched in some way by Australia’s interactions with Asia – the region in which so many of our country’s future opportunities and challenges lie. All our research – whether it’s on maritime security or the US presidential elections or the economic links between China and the Gulf – all of it is marked by Asia’s rise. The polarity has shifted, and the world senses it. We certainly know it here at Bligh Street. There has been much talk, Prime Minister, of the United States pivoting to Asia. But Australia didn’t need to pivot to Asia. We were already facing it head-on. All you recent predecessors have understood Asia’s importance. I think of Bob Hawke’s role in establishing APEC and in commissioning the Garnaut report. Paul Keating quickened the pace of Australia’s interactions with Asia and stood up the APEC Leaders’ Meeting. John Howard rejected the idea of a clash between history and geography and deepened ties with both the United States and China. I think of Kevin Rudd’s work in bringing about an Asia-Pacific community, and your own achievements in adding ballast to the India relationship and now issuing this White Paper. But still – there is much more work to do. The challenge this White Paper poses to all of us – government, business, universities, think tanks, schools and individuals – is to thicken our connections to Asia. To engage the region wholeheartedly. There is a big opportunity here. To seize it, we’ll need energy and focus and imagination. Prime Minister, if I may say so, the timing of this launch is superb, coming only one week after Australia was elected to the UN Security Council after a quarter century’s absence. May I congratulate you and Kevin Rudd and Bob Carr for initiating and prosecuting our campaign with such vigour and effectiveness. Serving on the Council will require us to address seriously all the biggest global issues in the next two years – but it will also make the Council more representative of the Asia-Pacific. It will bring us into more intimate engagement with major regional powers such as the United States, China, Russia and South Korea. It will increase our leverage on every other foreign policy front, including in Asia. And of course the Security Council is the second global forum we’ve joined in recent years – we’re also part of the G20 which is now the premier global forum for international economic cooperation. The Lowy Institute is delighted to be working with the Treasury in our new G20 Studies Centre. In my opinion membership of the Security Council and the G20 doesn’t distract us from Asia. It helps us in Asia. It means that we enter the Asian Century with confidence and from a position of strength. Ladies and gentlemen, Julia Gillard is the 27th Prime Minister of Australia. She was born in Wales, the daughter of a nurse and an aged care worker. Her family migrated to Australia in 1966 and settled in Adelaide. Ms Gillard was a lawyer and a political adviser before she was elected to the House of Representatives in 1998. She served as a Shadow Minister, Senior Cabinet Minister and Deputy Prime Minister before being sworn in as Prime Minister in 2010. Ladies and gentlemen, please welcome Prime Minister Julia Gillard.